First up for today is this sweet range on AUD/USD’s 1-hour chart. The comdoll encountered support around its previous support area and now it looks like a bullish divergence might be playing out. Think it will go back to its highs near the .9500 handle? Make sure you have your stop losses in place if you take this setup! It’s a back-to-back range setup! 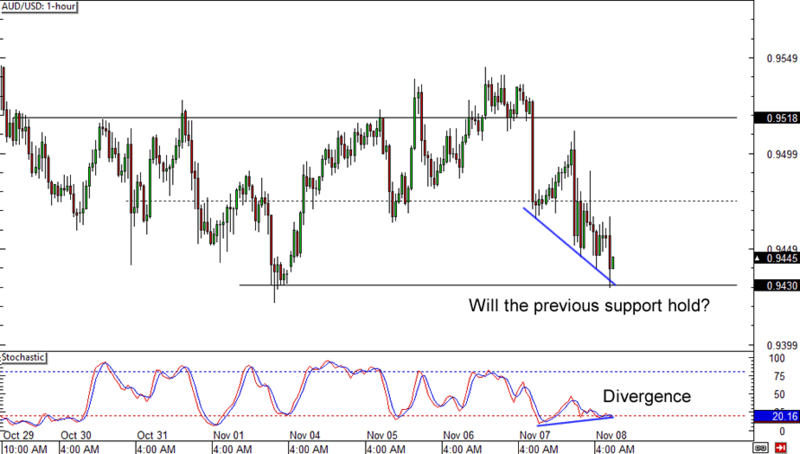 A few days ago we pointed out GBP/USD’s solid range on the 4-hour chart. After bouncing from its range support, the mid-range resistance around the 1.6100 is doing a great job at holding off the bulls. 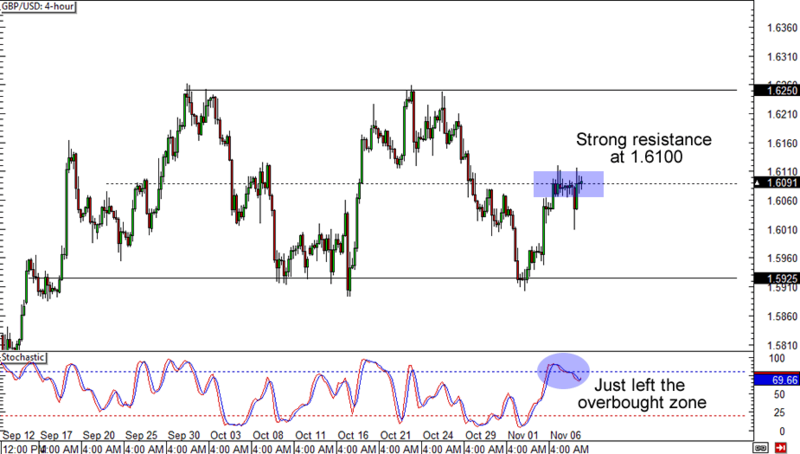 What’s more, Stochastic has just left the overbought zone! A stop just above the latest highs could get you a sweet risk ratio if think that the pound will retest its range support. 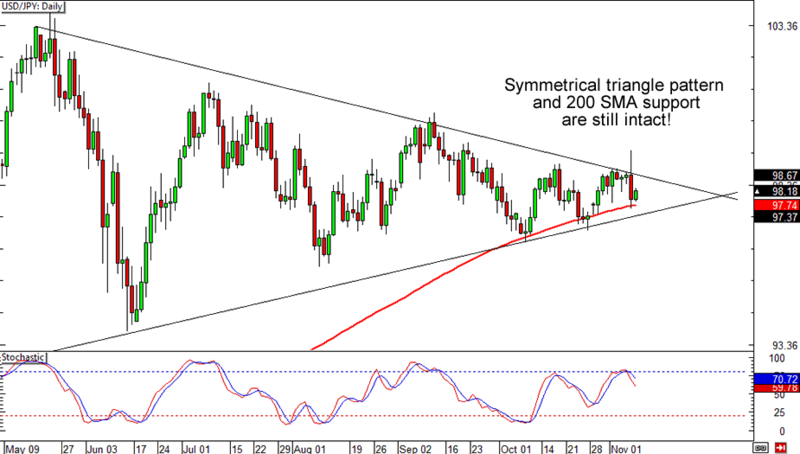 Is the symmetrical triangle solid or what?! USD/JPY made a run above the 99.00 handle yesterday before the bears quickly stepped in and put the pair back to its place. Looks like the pattern is still valid though, with the 200 SMA support still intact. What do you think? Time to buy? Sell? Or wait some more?